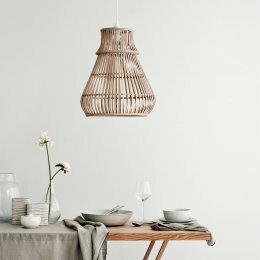 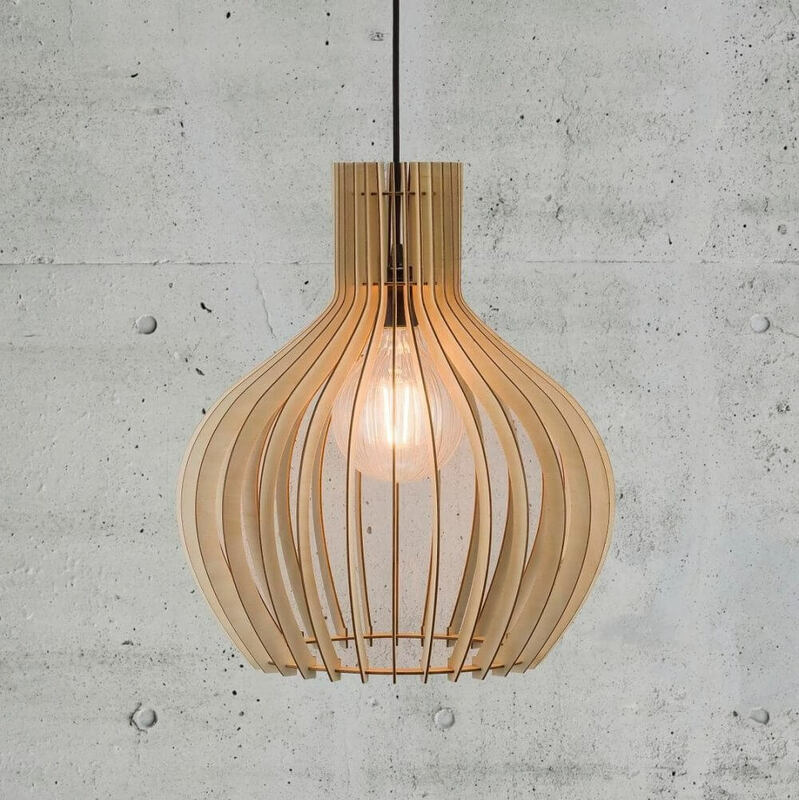 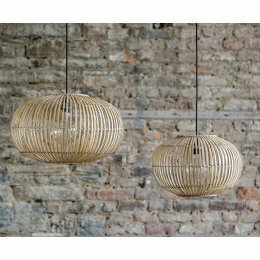 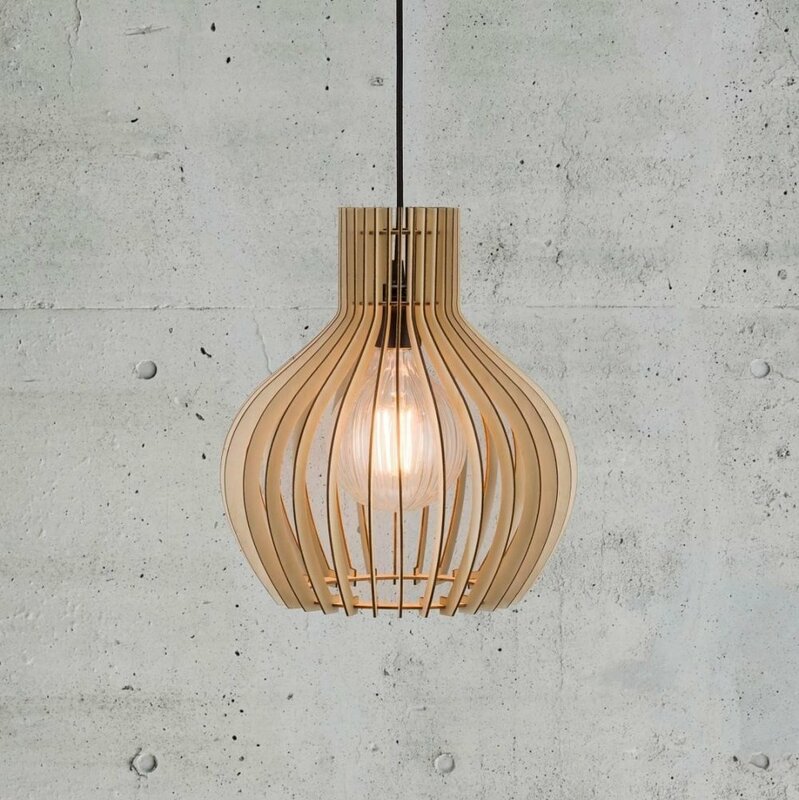 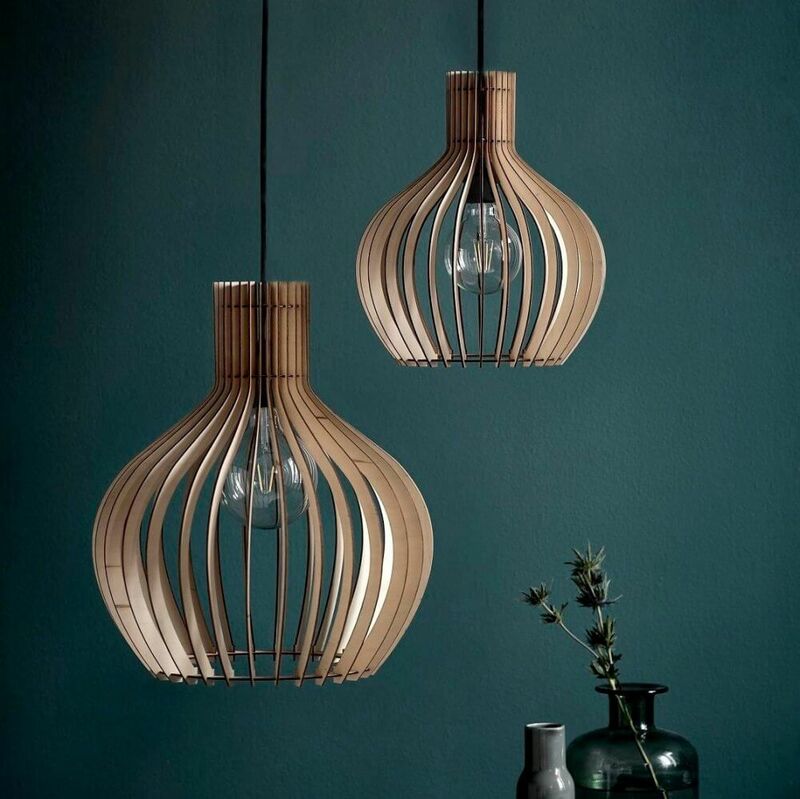 The beautiful Natural Wood Pendant Light has an organic shape with a slatted wooden structure and is a wonderful example of Nordic style lighting. 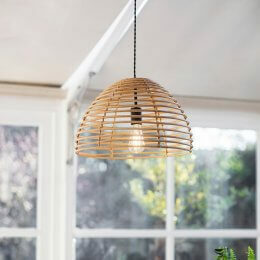 The open design of the shade allows light to pass through. 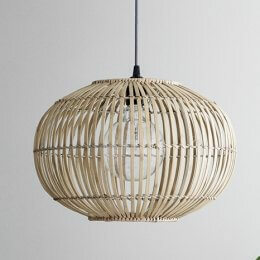 The lights come with 3m of black fabric cable that can be adjusted to suit.